This fourth edition updated for the 2018 revised exams, provides bright, full-colour and interactive preparation for the Cambridge English: Young Learners (YLE) Tests. Fun activities balanced with exam-style questions practise all the areas of the syllabus in a communicative way. The material is specifically designed to focus on those areas most likely to cause problems for young learners at these levels. Each unit forms the basis for a lesson of 75 to 90 minutes. The learning management system includes interactive online resources - fun games and activities - which practise the language covered in the Student's Books. A Home Fun Booklet allows students to practice vocabulary at home and helps parents support learning. 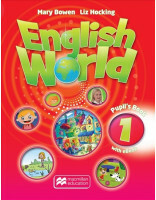 Visit worldoffun.cambridge.org for samples of each level as well as lots of teaching tips and resources for the revised 2018 Cambridge English: Young Learners. Each unit includes brightly coloured, attractive material which is motivating, fun and easy-to-use. Grammar and vocabulary activities get students practising in their own time in the online LMS via an access code in the Student’s Book. Teacher’s Book contains photocopiable resources, a full practice test, new integrated extension projects and clear guidance on which areas of the Young Learners syllabus are covered. A supplementary app gets students practising vocabulary in their own time in a real gaming environment. Downloadable Audio and full range of new digital components allow even more options for class and homework. Additional opportunities to practise speaking develop students confidence in an area which young learners find difficult. Presentation Plus brings the Student’s Book to life in the classroom, delivering audio, progress tests and pdfs of the Teacher’s Book. Flexible to use alongside a general English course and where not all students are taking Cambridge English: Young Learners.